Government recommendations are that pregnant women should avoid alcohol in their first three months of pregnancy, but if they choose to drink alcohol, they should not consume more than 1-2 units, once or twice a week. Binge drinking should be avoided altogether as regular heavy alcohol during pregnancy can have a serious effect on the baby; this is called foetal alcohol spectrum disorder (FASD). It can also cause premature births or low birth weight babies. We found that about a quarter of pregnant women in Bradford binge drink before pregnancy, but this falls to 9% during the first three months and 3% during the second three months of pregnancy. It seems that most mums are following the Government’s advice that women should not binge drink at all during pregnancy as there are risks to their unborn child. About half of all pregnant women in Bradford don’t drink alcohol at all; these are the women of Pakistani origin. The message that women should not drink at all during pregnancy is the safest policy, it is a policy that is pursued by most countries. 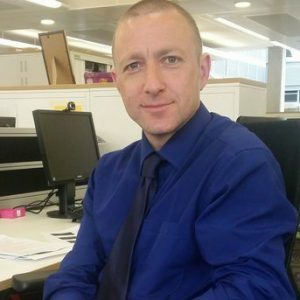 Duncan Cooper has a background in public health intelligence, epidemiology and health protection surveillance. He was seconded to Born in Bradford during 2012/2013 and is currently a Public Health Registrar in Wakefield Council working in the areas of sexual health, cancer and mental health.